Catamaran charters in the British Virgin Islands. 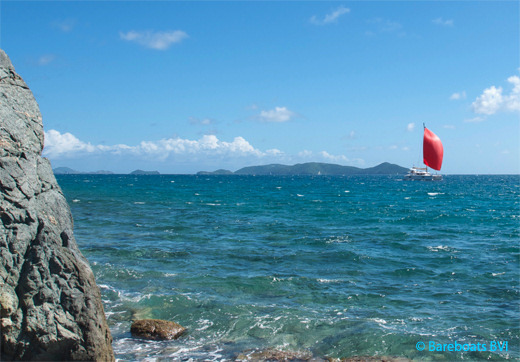 A week or two sailing the crystal clear waters of the BVI is just the ticket for any sailor wanting to escape gray skies, cold weather and the pressures associated with everyday life. What better way is there to relax, get a tan and have fun with family and friends than on a catamaran charter in the fabulous British Virgin Islands? With more than 60 islands to explore and dozens of secluded bays, beaches and beach bars to enjoy, the BVI are your one stop shop for an ideal Caribbean sailing vacation. We represent 38 "hand picked" catamarans based right here in Tortola. Models range in size from 36' to 52', can accommodate 2 to 12 people (including hired crew, if needed) and are priced to suit almost any budget. Come discover natures little secrets and have some fun in the sun!